Sunday Stroll in Retiro Park (Madrid), 17 3/4″ x 19 1/2″, rayon and cotton on cotton. 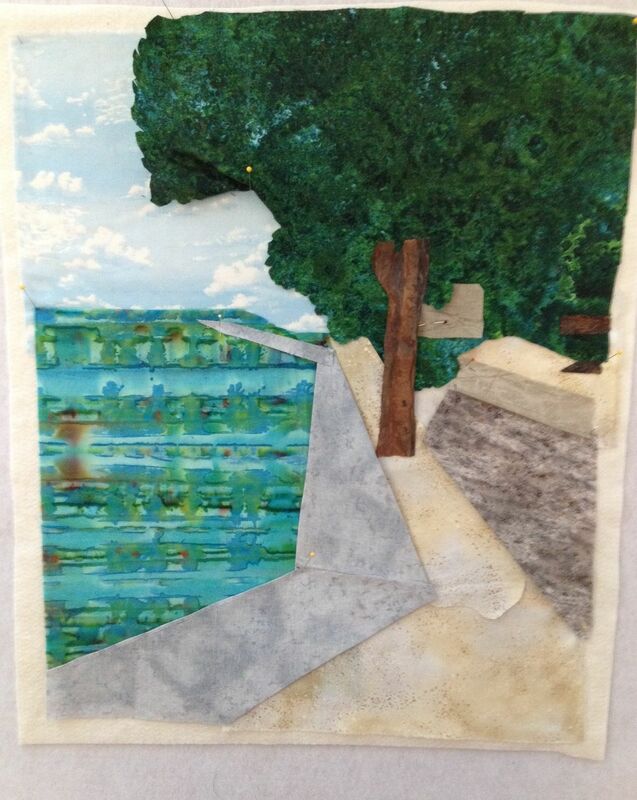 Applique, free-motion quilting, piecing, thread-painting, © 2014 Joni Beach. 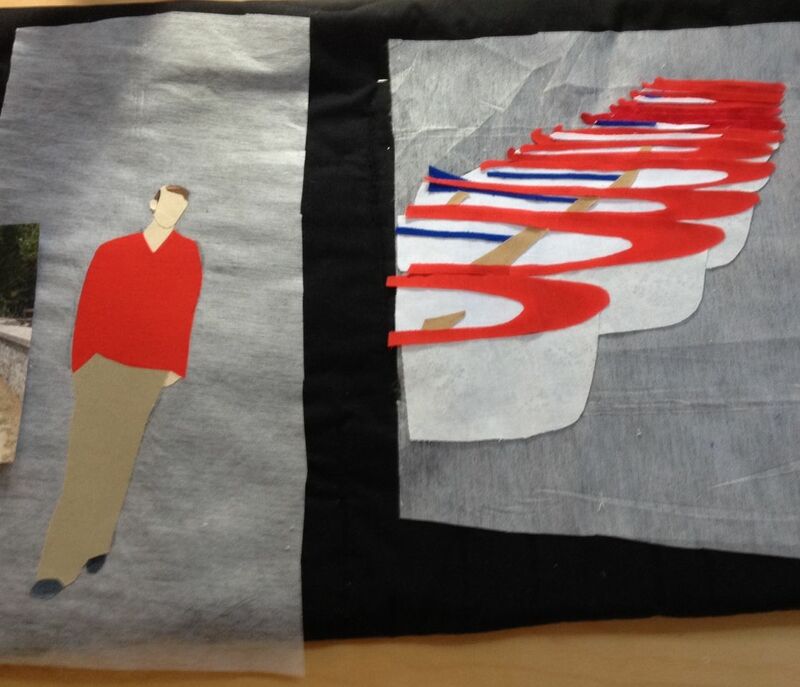 To create this piece, first different fabrics were auditioned to see which ones could create the image I wanted. 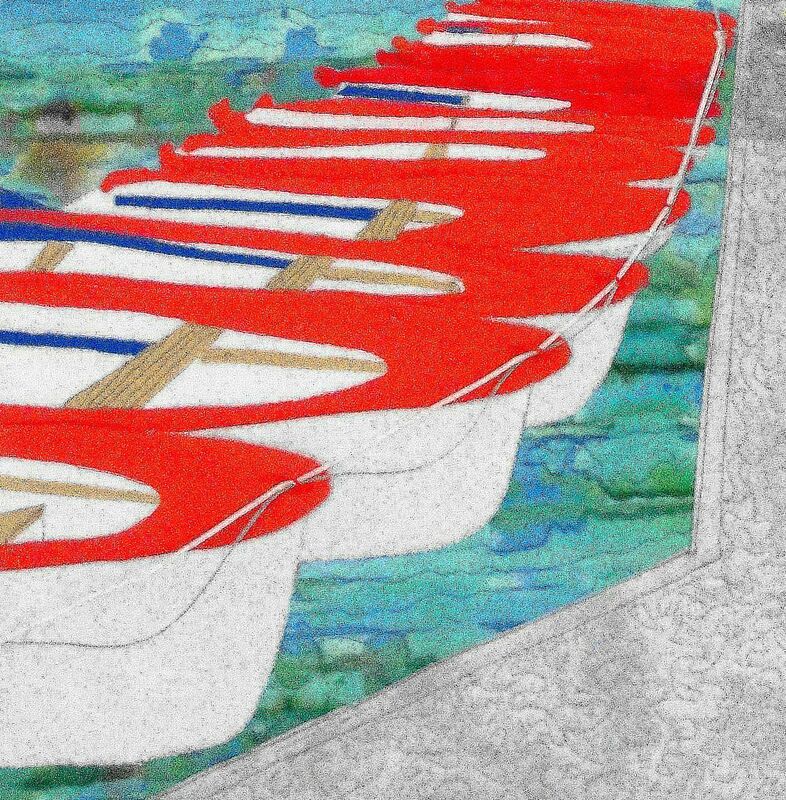 The boats and the guy were constructed separately as appliques before applying them to the background. 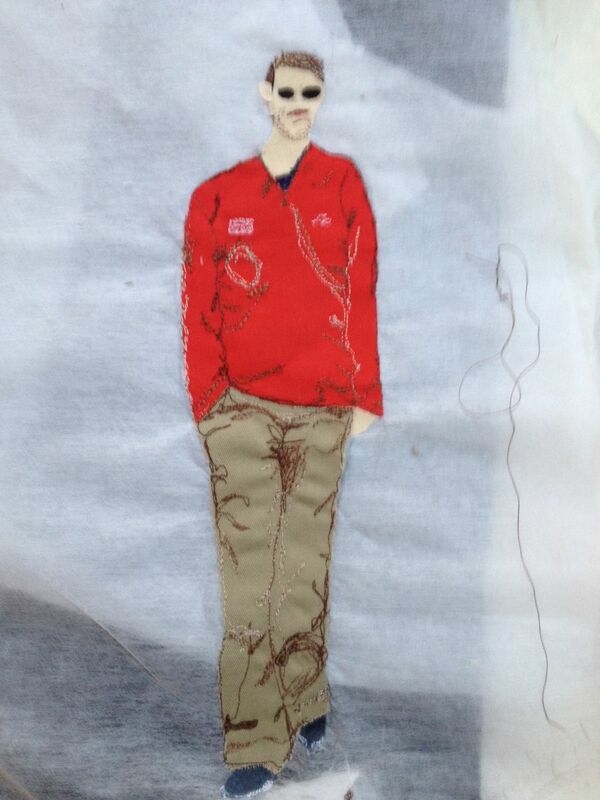 Thread-sketching and thread-painting was used extensively to add details and shading. The machine is used similar to the way you would draw with a pencil~~viewing the original photo as a guide, while drawing lines and shading. 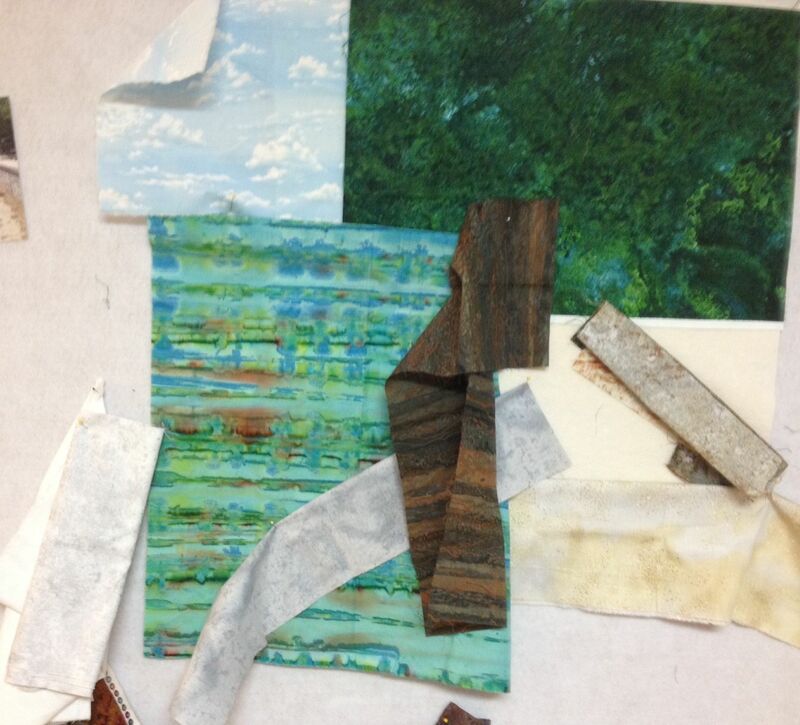 Dense-stitch quilting was used on the background elements~~the lake, trees, sky, ground and walkways~~to add texture and dimension. Using heavy threads and embroidery floss, two cables were added to tie the boats together. 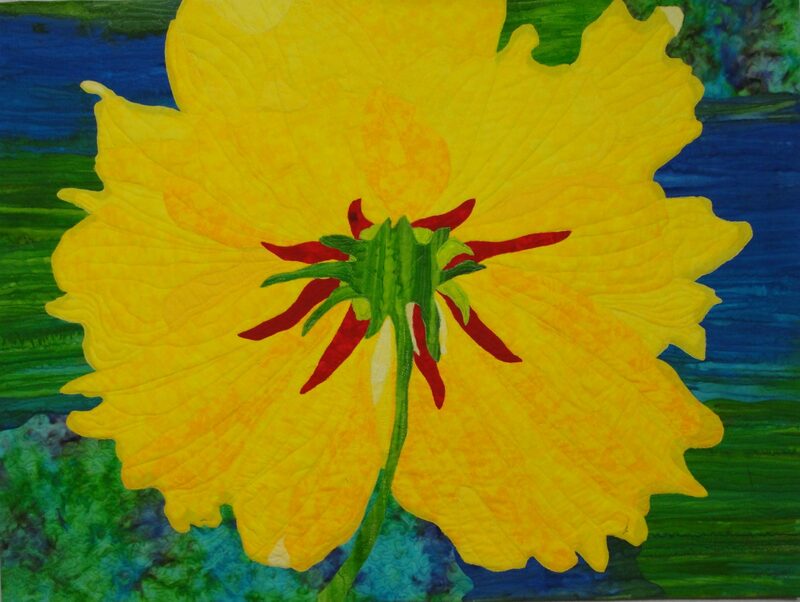 You can see this and other pieces in this series, Visions of Spain, on my website Art Gallery!